Linen napkins give a classy, comfortable look to a table setting. Do not be afraid to use them during every holiday - linen benefits from regular use and is a hardwearing, lasting fabric (read more about the properties of linen fabric). The fabric we use for napkins is Oeko-tex® certified and chemical-free. 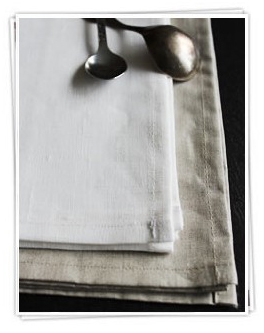 Buy Linen napkins from Ada & Ina online shop – experience a long-lasting, gorgeous result.